How Vaccine Fears Fueled The Resurgence Of Preventable Diseases : Shots - Health News An interactive map shows how measles and whooping cough have made a comeback in the U.S. and Europe, even though they're easily prevented by a few shots. The surge of these diseases coincides with changes in views about vaccine safety. But that's not the case in all parts of the world — not even parts of the U.S.
As an interactive map from the Council on Foreign Relations illustrates, several diseases that are easily prevented with vaccines have made a comeback in the past few years. Their resurgence coincides with changes in perceptions about vaccine safety. Since 2008 folks at the think tank CFR have been plotting all the cases of measles, mumps, rubella, polio and whooping cough around the world. Each circle on the map represents a local outbreak of a particular disease, while the size of the circle indicates the number of people infected in the outbreak. As you flip through the various maps over the years, two trends clearly emerge: Measles has surged back in Europe, while whooping cough is has become a problem here in the U.S.
Childhood immunization rates plummeted in parts of Europe and the U.K. after a 1998 study falsely claimed that the vaccine for measles, mumps and rubella was linked to autism. That study has since been found to be fraudulent. But fears about vaccine safety have stuck around in Europe and here in the U.S. Viruses and bacteria have taken full advantage of the immunization gaps. In 2011, France reported a massive measles outbreak with nearly 15,000 cases. Only the Democratic Republic of Congo, India, Indonesia, Nigeria and Somalia suffered larger measles outbreaks that year. In 2012, the U.K. reported more than 2,000 measles cases, the largest number since 1994. 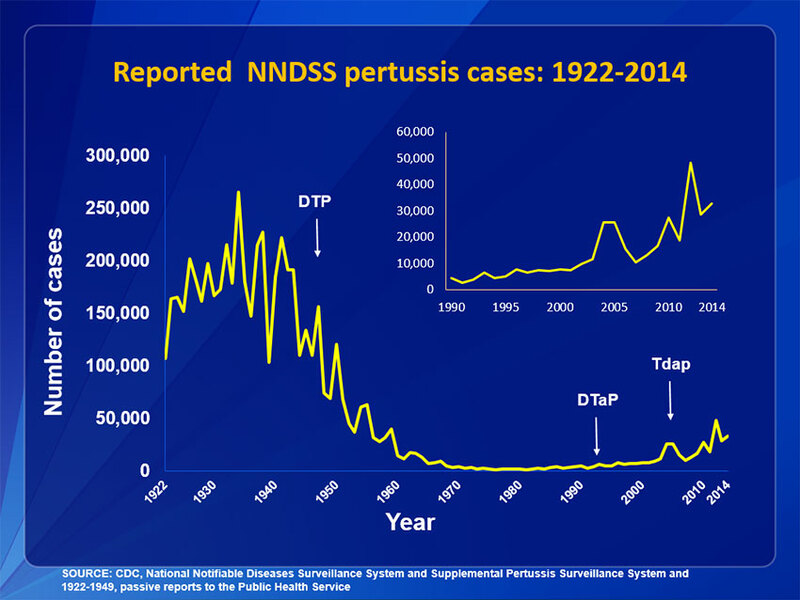 Here in the U.S., the prevalence of whooping cough shot up in 2012 to nearly 50,000 cases. Last year cases declined to about 24,000 — which is still more than tenfold the number reported back in the early '80s when the bacteria infected less than 2,000 people. So what about countries in Africa? Why are there so many big, colorful circles dotting the continent? For many parents there, the problem is getting access to vaccines, not fears of it.